This is an example of a woodworking joint called a comb or finger joint. 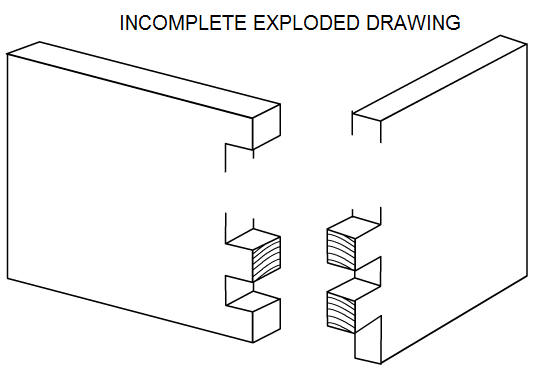 In an exploded drawing the joint is drawn disassembled (taken apart). In this way it is possible to see how the joint looks before it is glued together. An exploded view can make designs and ideas easier to explain especially when adding detailed notes. The animation shows the joint disassembled (exploded view) and also assembled. Compete the exploded view of the joint by adding the missing detail and adding appropriate colour and shade.